happy Thursday everyone! so today I wanted to go more into detail with my birthday outfit since my main passion is fashion....hey that rhymes! ok sorry...as you may know my theme was nautical, so lets jump right in! so I wanted to incorporate every color - red, white & blue & i didn't want to look like a flag, so I added a touch of red by wearing red sandals, a red ring, red nails & a bow...just the perfect amount of pop! I love this sandals because the back strip is blue! they call this type of skirt a "cupcake" skirt....can you see why though? So cute, love nautical and love that skirt! Cute! The jean jacket really pulls it all together. Loving the sunglasses, too! How cute are you in the sailor hat?! I adore your striped skirt! super cute! i love bb dakota, i feel like they work for a shorter frame (i am only 5 feet). Love the pops of red...and you are NEVER too old to wear a bow! SUPER CUTE!! i love nautical/ sailor styles, so classic! You are so cute! I want your skirt!!! Gold jewelry always goes best with a nautical theme And nothing is better than a day time outing to Fashion Island. Looks like a fun day in a cute outfit! So cute and so pretty!! As always!! oh i just love the whole outfit. you are too cute for your own good. 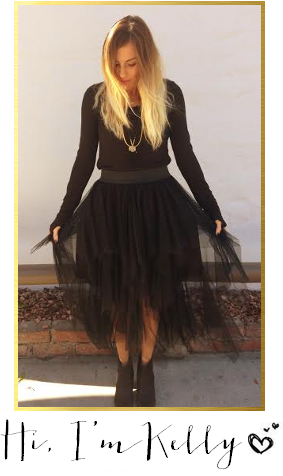 i am especially in love with the skirt! Happy belated birthday!! Loving this outfit! Love the outfit!! Thanks for the comment!! I love the striped skirt & jean jacket!! And the bow is so cute! Loving this outfit!! That skirt is so flattering on you!! Thanks so much for visiting our blog!! Glad you did because now we are following you via GFC! Hope you have a great weekend! Hey I'm new to this whole blogging thing and am just starting out. Could you check out my blog? Loving this outfit, especially the first photo-so nautical! Would love to feature it on my blog. Let me know if that's ok! You looked like SUCH a fashionista on your Birthday! I absolutely adore every bit of your outfit, especially those sandals. Yay for it finally being sandal season! I know that you can wear them all the time in SoCal, but notsomuch in Colorado. Haha. Love the first picture, it's so cute.